Advocaat is a popular liqueur in Germany, well loved on cakes, in coffes, pralines or as a shot. 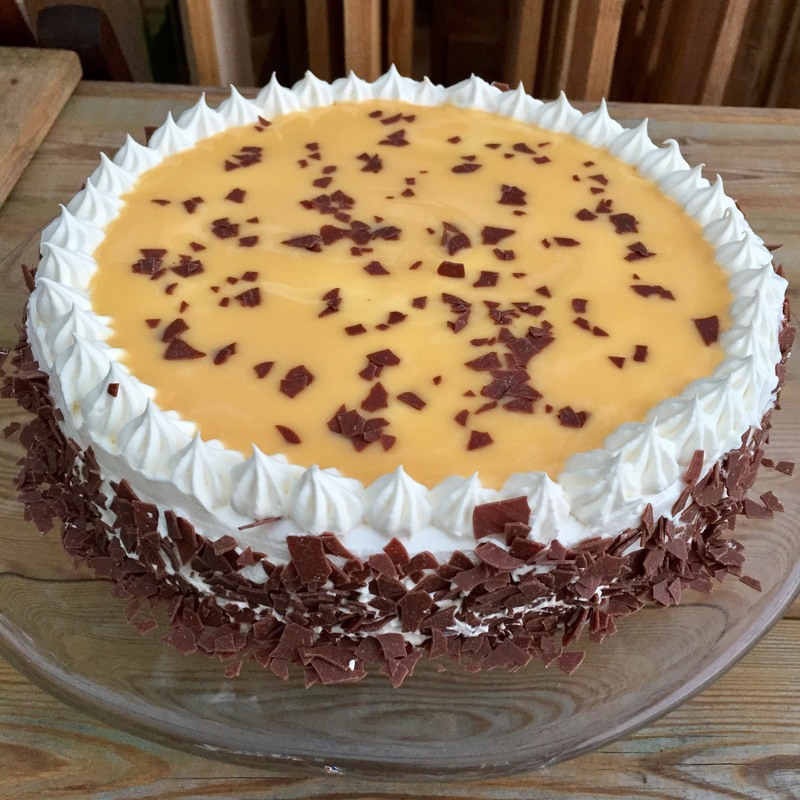 This is a recipe for gluten free Advocaat Cake. I took the traditional recipe from my grandma and changed it until it worked. Stir the butter and sugar until creamy. Add the egg yolk and stir it again. Add the rum and baking soda, the chocolate and tigernuts and stir until it’s homogenous. Whisk the egg whites until they get stiff, then carefully fold it into the batter. Immediately fill the batter into a greased 26er springform pan and bake it in the oven for 40 minutes. Whip the cream with the cream stiffener. If you want you can add a little bit of advocaat. Careful: When you add to much the cream liquefies. Keep a quarter of the cream for later decoration, then ice the base with the rest. Fill what you had set aside into a decorating tube (or if you don’t have one: take a freezer bag and cut off a corner). Set small dabs around the corner of the cake and don’t leave any spaces. Then pour the advocaat into the middle until you can’t see any cream anymore. The sides can be decorated with chocolate crumbles.